My trip to MD is always a highlight of my month, but this one was particularly interesting due to a phone collapse. Bricked is the tech term. It was evident first by the android image on its back with a belly flap open and legos showing through. Then Nidric from Google support confirmed, yep, brick. So my marketing efforts got interesting. Even visiting family got interesting. So much so that I thought it called for a blog. I grew up in MD, have lived in FL for 15 years but have been a frequent visitor because of family and now business. But I have never had a good sense of direction. N, S,E,W—mean little to my brain, short of what’s South of MD. An example, I started the blog before leaving for the airport and got lost for 40 minutes on the way there. I had carefully written them down, but alas the directions I wrote were to an overflow rental car lot, not the rental car return lot. So I turned around and fumbled through. First reminding myself that I had been on 100 E, so now would need to go 100W. This after traveling far enough to feel very lost on Hanover Rd. All of these roads and directions were familiar, yet I was lost. The same thing happened on my way home from family. I missed an exit, it was dark, I was so close, and yet. This must be what it feels like in early stages of dementia. So much is familiar and yet, not. I remember that, but not –what is that? I saw a bus with the company logo, I turned and followed it. Until it dawned on me that it was going away from the company. I would see a familiar landmark but then not have it in context to the journey. And then the anxiety and the fear that accompanies feeling so close and yet missing the mark. The map I had was not focused on the area I was in. Even finding a pen and paper and writing directions seemed archaic and not trustworthy. I honestly limited my time on the road based on the lack of directional assist. Is it any wonder that an individual with dementia is often more comfortable not leaving the house? 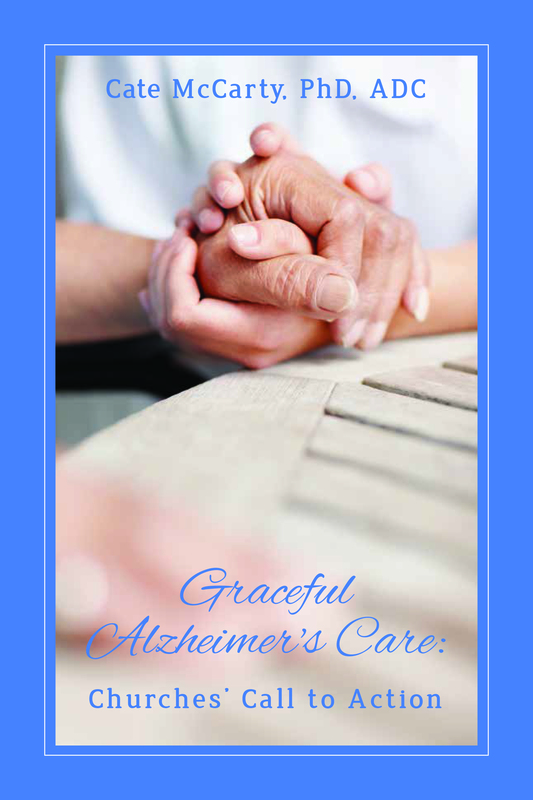 Is it any wonder that a caregiver becomes their anchor, their entire focus–their guardian angel? They shadow us for safety. We are the GPS, the smartphone and Google all rolled into one. And yes, they forget that we need recharging to do it well. On a positive note, I was far more outward focus. I peacefully sat at the Southwest gate with only people watching to entertain me. On the plane, I guiltlessly slept, with no call to do work or listen to meditation. Just a chance to be. The bad news, no one to know when I was lost . . . or had landed. A few days without a phone and without GPS gave me a window into dementia world. It is good to be home, though small and tight with need. I am purchasing a MD paper map to reside in my luggage for the next trip, just in case. When a caregiver first receives the news of their loved one’s diagnosis, there is already a history of compensating for behaviors and memory change. As a caregiver, you have already been a one-man band working alone to orchestrate life as it once was. Your loved one’s cognitive changes have changed the overall harmony into discordant noise. Research shows that dementia puts caregivers at risk of overburdening. You understand this. In reality it probably was your own feeling of burden that precipitated seeking a diagnosis. Another statement that might resonate with you as a caregiver: “Caring for a relative or friend with dementia may lead to serious mental health problems.”1 What are the mechanisms that cause all this discord? Caregivers report the strain of managing change. So, it is not just the dementia diagnosis affecting the harmony, but the changes and the personal variables together that produce unmanageable dynamics. The one-man band is overworked, underpaid and ready to fold. So how do we add instruments and players to bring back harmony? No matter the study, all the outcomes point to the need for dementia caregivers to orchestrate self-care. Let the new year be one of adding to your band. Reach beyond the familiar solo to strategies you have never tried before. Maybe it is meditation, Tai Chi, or a new internet opportunity to grow or to express. We must grow faster than the dementia progresses in order to achieve some kind of harmony. If your loved one with dementia has to be hospitalized, whole new problems present themselves. The home-like environment they have known either with you or in a memory care community has no equal in the world of hospital care. Often the very problem your loved one is admitted for is magnified by the emergency itself. Whether you drive them, or they are transported the experience is not one they can process. From gurneys to men in uniform, to people in white coats—all of these things and images can be interpreted with a fight or flight response. Most of us have had few experiences with hospitals and those who have, may not have fond memories. Add brain failure to this, and the situation easily becomes unmanageable. Common responses to hospitalization are delusions, defined as the belief that something is occurring that is contradicted by reality. Often delusions are the impetus for fight or flight, with an individual convinced that someone is out to harm them with common procedures like intravenous medications, bedrails and even hospital gowns. Delusions are in fact common for individuals hospitalized regardless of a dementia diagnosis. One study termed the range of delusions as Cognitive Spectrum Disorder (CSD).1 CSD was present in 38.5% of all patients regardless of dementia diagnosis. Of the sample, 16.7% had delirium with no cognitive impairment. Because this study was retrospective, it was shown that individuals with dementia had the longest length of stay and a higher mortality rate one-year post-hospitalization. Sobering realities. Additional research looking at behaviors related to healthcare utilization adds an interesting perspective. The study links the informant’s distress to an increase in negative behavior from their loved one with dementia which in turn resulted in an increase in healthcare utilization and costs.2 The take-home is that it is our distress as caregivers that magnifies their negative behaviors including delusions. So how do we navigate hospitalizations? First, we prepare for one before it occurs. •	Have an up-to-date medication list prepared and accessible. •	Along with this, have a list of those friends, family members and professionals that are a part of your care constellation. These are your go-to people who you can turn to for support, service, direction. If you have a smart phone, mark these as favorites, so that they populate your phone screen quickly in case of emergency. Second, and most importantly, your loved one when hospitalized needs 24/7 personalized care. That might be you, might be a paid caregiver, and it might be provided by the hospital. Remember your loved one is already compromised by health changes that are precipitating a hospital visit. The environment, the procedures, the noise, the light all add up to a hostile environment. Which translates to fight or flight for any one of us regardless of brain failure. Your preparedness can cut the stay short and limit the impact. You may have noticed that I am very fond of trees. From childhood on, they have offered me refuge from fears and solace for racing thoughts and worries. Well this Tuesday I lost one of my favorite trees. We live in a small park sharing trees lot-to-lot. But there was one tree that I have been particularly attached to–my listening tree. This beautiful oak resided to the left of Lee’s pool and had done so for many years. Much like the Gulfport tree highlighted above. She would sprinkle the pool liberally with leaves, it is true. But that just made swimming that much more magical to my way of thinking.Chlorine plus leaves–a win-win. Swimming for me is always done head up, eyes to the sky. Which put my tree in the range of sight for most of my laps. As I pulled myself through the water, I would silently talk to her, reviewing good things, praying through some struggles, overall inventoring my life. Seeing this tree as a sign of God’s presence. She always stood proud, majestic, allowing the squirrels and birds to flitter and fuss without any resistance. She was deeply rooted and always present. On Monday I noted to her that the summer had been hard on her. Her full branches were scanty this year compared to last. Her leaves fewer. On Tuesday as I drove in, I saw the road blocked. And then Mike told me about her loss of a big branch Monday night. As I drove by on Tuesday evening, she was already being dissected. I mourned her loss. Perhaps I was mourning the loss of a husband who understands, dreams set aside, or the loss of a mom who had died fourteen years ago the week past. It all came out with the cutting of my tree. Several days out, I can be grateful for the tree’s presence, her strength. I am circumspect on the circle of life. And grateful that she was a symbol of an unconditionally loving God. So now I look to the sky when swimming–knowing that deeply rooted and always present can be found in other natural forms. And the sky is the limit for my prayers. At this time of year hauntings are not just in old homes. If you are living with an individual with dementia, you may well be faced with ghosts and imaginings that are convincingly real in presentation. Some forms of dementia are more likely to have delusions and hallucinations as symptoms. Your challenge as a caregiver is to validate rather than negate the presence of the man in the bathroom or the re-written biography that includes new players, new scenarios. It is helpful to define both a delusion and a hallucination. Delusions in dementia world are false beliefs.1 When your 94 yr old mother states that she is waiting for her mother to come home, this qualifies as a delusion. What is critical for you to understand is that negating her belief will not work. In fact, to tell her that her mother died in 1999 will actually make things much worse. Similarly, hallucinations are better left uncorrected. Hallucinations are incorrect sensory perceptions of objects or events, often visual or auditory. When the bumps in the laminate floor are called bugs, or the sound of a storm outside is called kids fighting—these are hallucinations. has there been a new medication added recently? Have there been new people or changes in routine or environment? Are there visual changes, or lighting needs? Delusions are often founded in the individual’s biography. Your loved one may be processing a piece of life story that has not yet been resolved. Because of the cognitive changes, the processing is garbled. There may well have been someone under her bed at one point, or under someone she love’s bed. Whether you are aware of the biographical roots or not, the delusion will not dissipate if you dispute it. In fact, she will only get more agitated and adamant. Instead you need to validate. Naomi Feil, a pioneer in dementia care shared this strategy in her book Validation Breakthrough.3 Her daughter, Vicki de Klerk-Rubin, reinforces it in the book Validation Techniques for Dementia Care.4 To validate your loved one’s delusion seems counter-intuitive unless you consider it from her perspective. She very much believes there is a man following her in the hall. You know this is not true, and you want to clarify that. But instead you offer her empathy, that must be very unsettling. And she feels heard, Yes unsettling? You aren’t kidding. As you ask her details about this man, you are affirming her. You are validating her reality. Which is comforting. She feels heard and her anxiety will decrease over time. Meanwhile you can re-direct your negative energy into the work of looking for the triggers. Done well, validation provides a win-win for you and your loved one. Whether you have school-age children, grandchildren or none at all, you are aware that Back to School season is upon us. Even if the summer harvest of heat and produce continues in your community, the start of school is a signal for transition. Living with dementia has its own transitions, many of which we encounter with little to no preparation or schooling. Allow the Back to School season motivate you to seek education to assist you in caregiving. Research has defined education to be key to sustaining one’s self as a dementia caregiver.1 Whether you seek education from the internet, a local Arden Courts, the library, a memory clinic—seeking it is important to both you and your loved one with dementia. Studies have shown that internet-based supportive interventions can improve caregiver well-being, confidence, and self-efficacy. This is particularly true when the interventions are tailored to the individual and are made of multiple components.2 Tailoring could be specific to family or individual or specific to type of dementia. An older study reports that the least effective caregiver education is peer-led, or simply support group referral.3 Although emotional support is good, look for resources that are dedicated to proven methods and strategies. 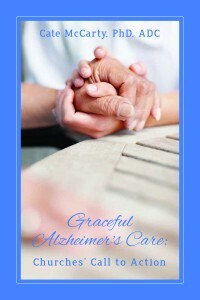 Back to school for dementia caregiving may involve hitting the books. Reading about others who have been on the caregiving journey will help you navigate obstacles that they may have found challenging. A study of educational support showed that caregivers are thirsty for information on the progression of dementia and symptoms as well as any measures available to slow progression.3 The individuals with dementia found education about progression gave them motivation to live.4 Caregivers improved their skills at dealing with symptoms from the educational support. As you walk the path, you will find that time is less available so your Back to School energies demand premier education. Seek the credentials, the experience, and the longevity as well as the program, class, book, or internet course that will give you the components research has validated. Successfully navigating dementia as either a caregiver or an individual with dementia will require a secondary education like no other. But the very pursuit of that knowledge promises to make the journey easier. This is the chant that I was privileged to hear during our recent visit to MD. So heart-warming. All while she worked her magic on Gramps. Folks have asked me why I chose Granny as a moniker. Granny was my great grandmother whom I never met. But I always appreciated the few stories that were shared about her. My favorite was one my mom told of walking from school to the Baltimore shop where Granny hand knotted rugs all day. Mom said Granny would stop her work, clean up her station, and then always put on a nice hat and gloves. Then they walked home, sometimes stopping for an ice cream. I always thought of Granny as a hard working but refined lady. I have always identified with hard work, and aspired to refinement. Granny, Granny, Granny . . . I hope to leave a memorable legacy for Quinn like she did for me. One of my favorite refrains, beside still waters, comes to mind when I think about our wonderful day in El Yunque, Puerto Rico. The lush peaceful feel of the cool green foilage and the magnificent waterfalls remind me of simple and peaceful times for Mike & I. Puerto Rico holds a special place in our memories and our relationship. It feels awkward broadcasting this. But as I questioned myself on why I felt awkward, I thought Why is it we are faster to share the negative than the positive? Add to that the email from a memory cafe family member that said “I know you are struggling too . . .” and I found that it was important for me to share the good stuff. There is too much of the negative dementia stuff studied, reported, shared and far too little of the positive. Now keep in mind that yes, this was not how we imagined August would be. We have downsized and upsold simultaneously to have a bit of time in MD, but we are still looking forward to our trip, despite how different it is from its original blueprint. Adaptation is the number one survival skill in life, and also in dementia world. We have adapted to the change in plans for vacation. We have adjusted to the possibility that Mike’s joint pain precludes hitting the road with the RV, at least for now. Research shows that the portable touchscreen devices, commonly called tablets, are useful not only to the individual with dementia but also to the caregiver.2 In a study of individuals with early -stage dementia, 50% of those in the study were able to use the tablet independently. Caregivers expressed relief in proportion to the amount of time their loved one used the tablet independently. As a home health trainer, I have found that tablets are perfect for memory engagement particularly if the home health aide has details on the individual’s biography. For example, a man whose pride and joy was an Ensign sailboat was easily engaged when the home health aide pulled up images of Ensign sailboats. From there a conversation was started that not only activated his memories but increased his sense of satisfaction with the non-family caregiver and decreased his anxiety. 2Lim, F.S., Wallace, T., Luszcz, M.A., & Reynolds, K. J. (2013). Usability of tablet computers by people with early-stage dementia, Gerontology,59(2): 174-182. 3Nordheim, J., Hamm, S., Kuhlmev, A., & Suhr, R. (2015). Tablet computers and their benefits for nursing home residents with dementia: Results of a qualitative pilot study, Zeitschrift fur Gerontologie Und Geriatrie,48(6): 543-549. 4Kellet, U., Movie, W., McAllister, M., King, C., & Gallagher, F. (2010). Life stories and biography: a means of connecting family and staff to people with dementia, Journal of Clinical Nursing, 19(11-12): 1707-1715. When you think of dance, what comes to mind? Is it the foxtrot, waltz, tango or salsa? Maybe you think of Zumba or Jazzercise. Or maybe you think of the weekly program, Dancing with the Stars. But did you know that dance is a great brain health strategy? In fact, a study looking at better memory over the course of fourteen years found that dance was a lifestyle factor associated with better memory. The results of this study show the importance of dance in vascular health as well as cognitive function. When eleven different types of physical activities were assessed, only dancing actually showed a lowering effect on dementia risk. Dance combines physical, cognitive and social engagement that improves each factor. Physically, dance has shown improved balance, and functional capacity. Socially, dance has been shown to enhance quality of life. Improved balance means less risk of falling. Dance even works for those with Alzheimer’s dementia. Salsa dance therapy had a positive effect on balance, gait, and fall risk in sedentary patients with Alzheimer’s dementia. Six months post-study, no falls had been reported. Balance and locomotion were positively affected for Parkinson’s dementia patients as well. A study looking at Argentinian tango and American ballroom found that the tango and the waltz/foxtrot groups had improved walk distance and backward stride. The tango group actually improved as much or more than the waltz/foxtrot group. If you are a dedicated Dancing with the Stars fan, you will be pleased to know that observing dance has been shown to enhance well-being and focus. A study with participants with Alzheimer’s showed improved well-being. Similarly, a study with participants with Parkinson’s has shown that watching dance improved eye focus. As important as the cognitive and physical benefits of dance are the psychosocial. A study of dancing in care homes showed a decrease in negative behaviors, and an increase in social interaction and enjoyment for both residents and care staff. Research on dance has a range of outcome with some variability due to study structure. With music being a key component of dancing, it is difficult to separate out the effect of music on the outcomes. The reduction in stress, the increase in serotonin and the improvement of quality of life factors all work together to show dance as a hopeful component of a healthy brain and a positive lifestyle factor.